This was a gift from my friend Eric the Red. Its freaking awesome right????!!! 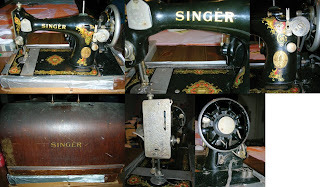 Its a 100 year old Singer and it totally works! Its beautiful and in great condition! The base is missing but it still works when you use it by hand. I think it will be more of a display piece in my house. I LOVE IT!